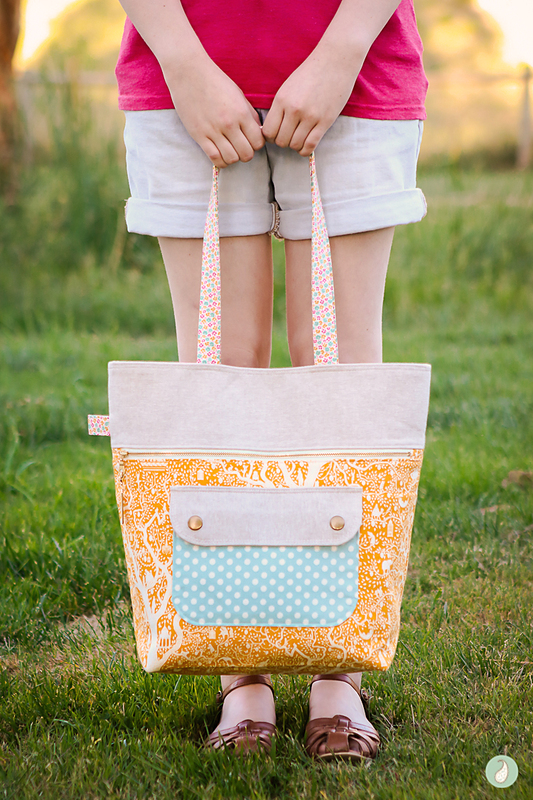 As soon as I got my hands on the latest Tilda fabric collection, I knew a Lemon Tree Caravan Tote was on the agenda! 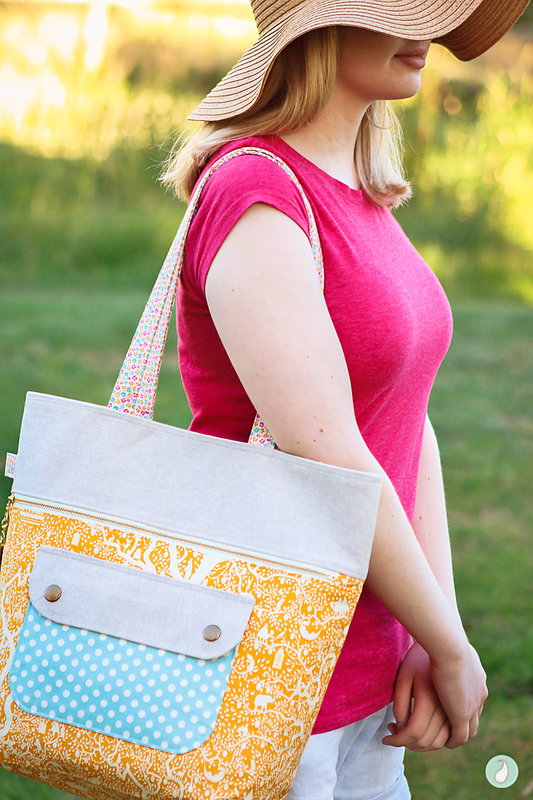 The Caravan Tote is an original pattern by Anna Graham of Noodlehead. I had purchased the Noodlehead pattern quite a while ago, but had yet to find the perfect fabric. 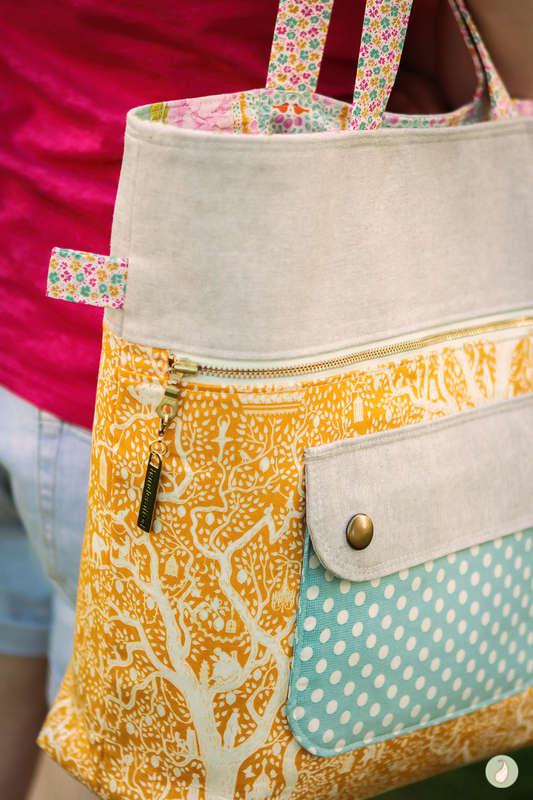 The Lemon Tree feature print is completely delightful!! It has a lovely sense of nostalgia and whimsy. Among the branches of the lemon tree are elephants, birdcages, ballerinas, dancing bears, chandeliers, and even Mary Poppins. Yep, Mary Poppins!! 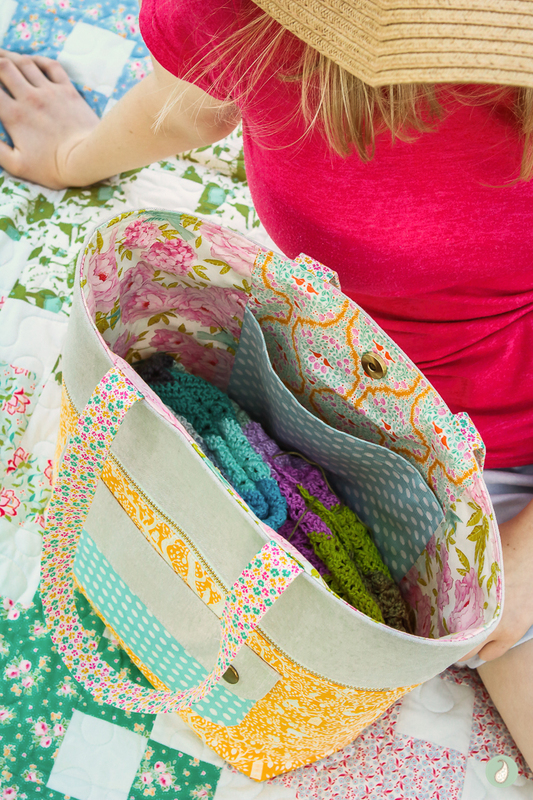 (I was so tempted to make another Cherry Tree Lane quilt with this collection ;). Essex Yarn Dyed Linen in Flax. Lemon Tree Hummingbird Dove in White to bind the pocket edge. I have made a small number of bags to date, so by no means do I consider myself an expert bag maker! 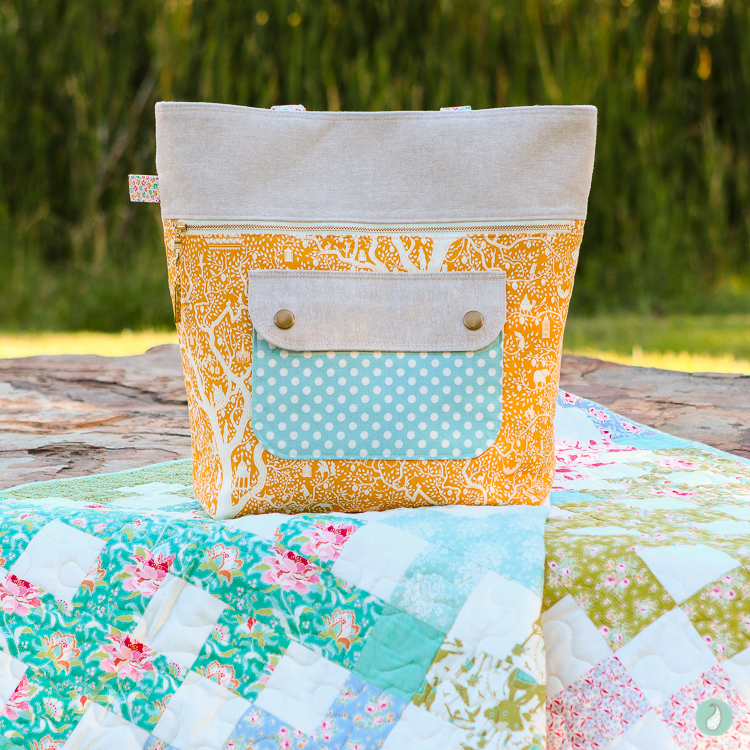 However, a quick read of the pattern told me that this tote was definitely a reasonable project to undertake for a confident beginner. 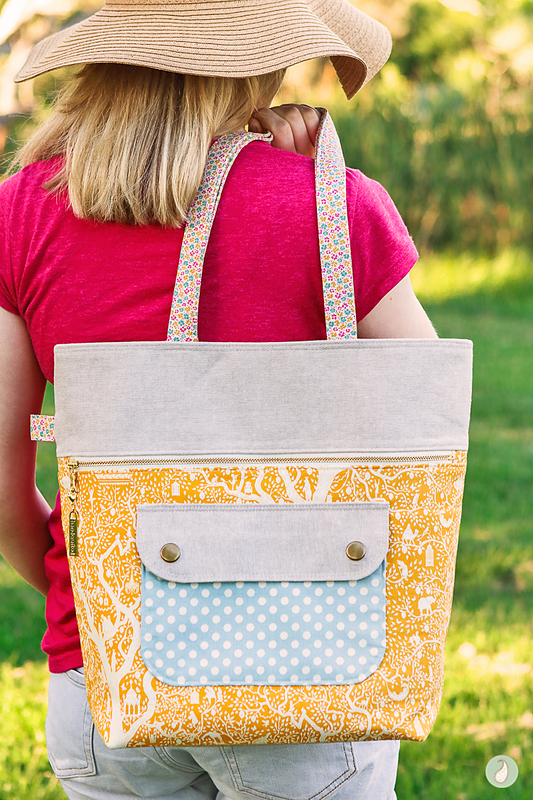 Initially, I was a little daunted by the sheer number of pages in the pattern, but it turned out that most of the pages were actually traditional pattern pieces for the tote. While the pattern pieces for the front pocket were required for shaping, I didn’t require most of the other pieces, as Anna provides the cutting dimensions in her instructions for the rectangular shapes. 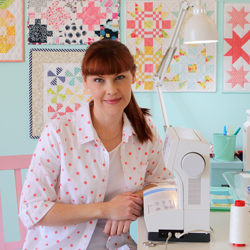 As a quilter, dimensions made much more sense to me, as I could cut out the pieces with my favourite rotary cutter and mat. And I was ever so excited to be able to use a new ruler I purchased. The pattern is mostly straightforward. But there were a few instances that had me momentarily scratching my head! The first area that was a little confusing was regarding the handle interfacing. You cut 2 handle pieces, and 3 pieces of interfacing of a slightly different length. Initially, I assumed that there was an error in the pattern, and it was only meant to be 2 pieces of interfacing, but in fact, because the interfacing Anna recommends is narrower than the length of the fabric handle, the 3 pieces are designed to be positioned next to each other to cover the full length of the 2 handles (and a piece will be discarded). In hindsight this makes sense, but it wasn’t very clear at the time. The second area I found confusing related to the Contrast Top Exterior, and the use of a directional print. Anna uses an arrow pointing down to suggest the direction of a printed fabric. Personally, I translated the bottom of the arrowhead to mean the bottom of the print (probably because it was pointing downward), when it is actually indicating the opposite (the arrowhead is suggesting the top of the print). Rather than an arrow, it would have been more helpful to have drawn a little flower or something similar with a clear top and bottom on the actual graphic. In the end I chose to use the Robert Kaufman linen, rather than a directional print, but I was sure to draw my own little flower on my pattern to make this less confusing for any future makes that do use a directional print. The only other little issue I had was with the placement of the snaps on the pocket. Using the dimensions given, I marked what I assumed was the centre spot for the snaps. It wasn’t until after I had placed the snap, that I realised the measurements given most likely indicate the outer edges of the snap. A small discrepancy that meant my snaps were a little out of place – but they still look fine! After those minor challenges, the pattern came together with absolute ease. It really was a pleasure to sew! I am definitely planning on making another! Which is just as well, because my daughter claimed this one and took it with her on her travels last week interstate. Disclosure: This post was sponsored by Tilda USA. Aqua Paisley Studio is committed to high standards of integrity and quality. Thank you Angela – I had a lot of fun making it, and can’t wait to make the next one :). 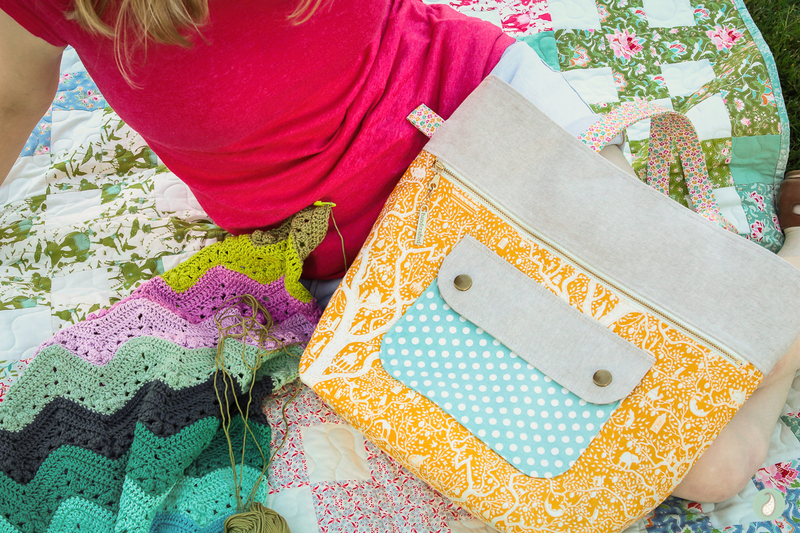 I think I have this bag pattern or one very similar, but have been to intimidated to try it. I appreciate your tips. I think I might have to dig out my pattern and look it over again. Maybe this will be the year to try something out of my comfort zone. I am a big believer in magic happening outside our comfort zones! 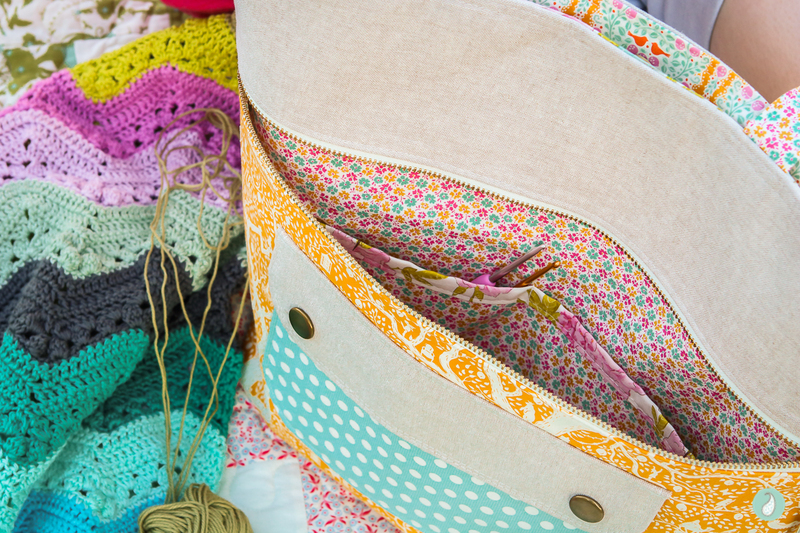 I hope you give the pattern a go – it’s a great project, and really handy too!